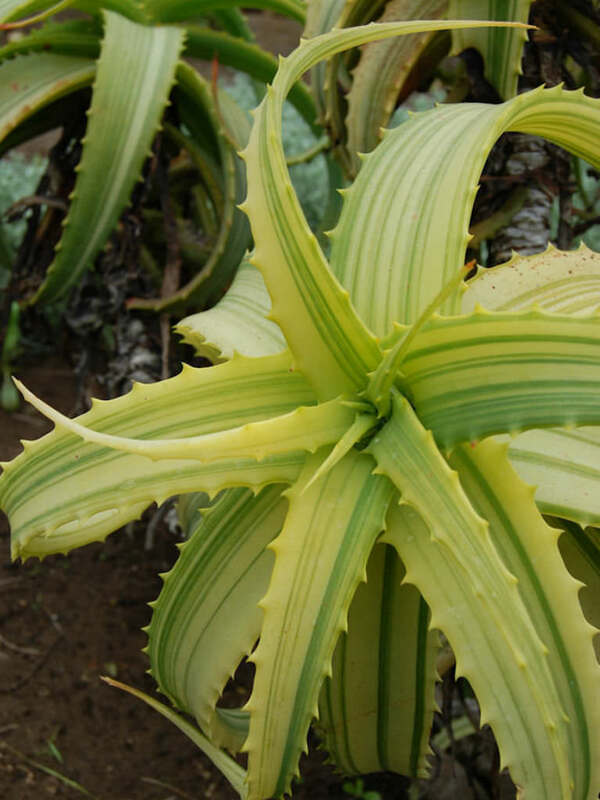 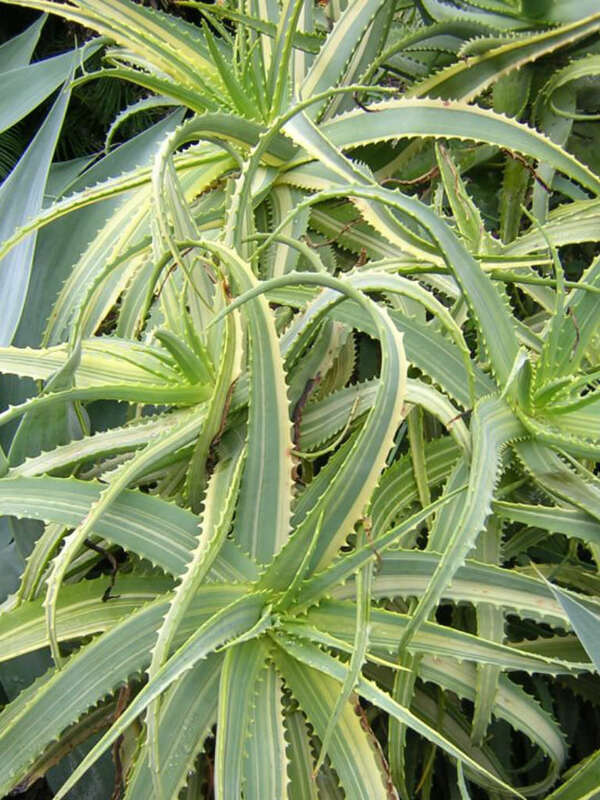 Aloe arborescens ‘Variegata’ is a large, multi-headed, sprawling succulent up to 10 feet (3 m) tall with many, up to 18 inches (45 cm) wide rosettes of succulent, toothed, sword-shaped leaves striped with pale yellow. 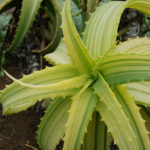 Deep orange, almost red (there are also pure yellow forms) flowers hang tightly on unbranched inflorescence that rises up to 2 feet (60 cm) above the foliage. 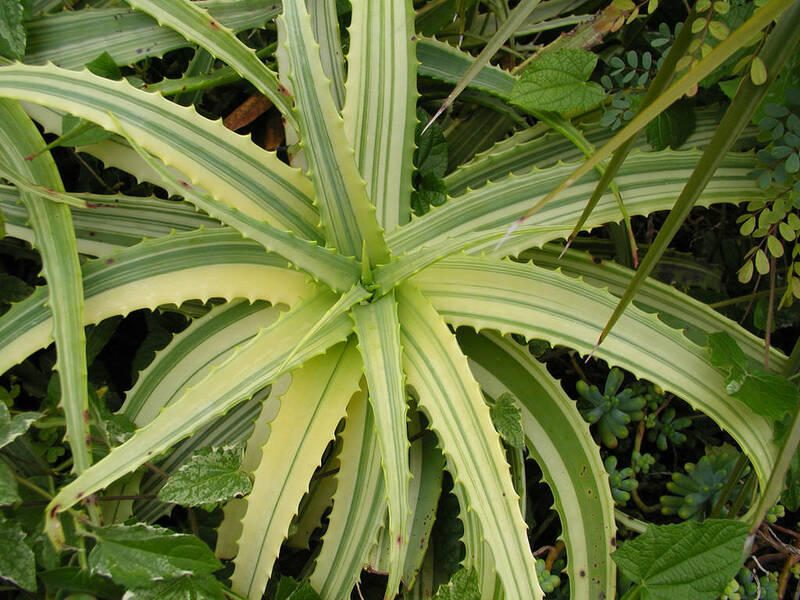 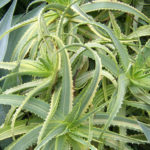 Aloe arborescens ‘Variegata’ is a variegated form of Aloe arborescens.